Why I am Kind of in Awe of the Republican Party. 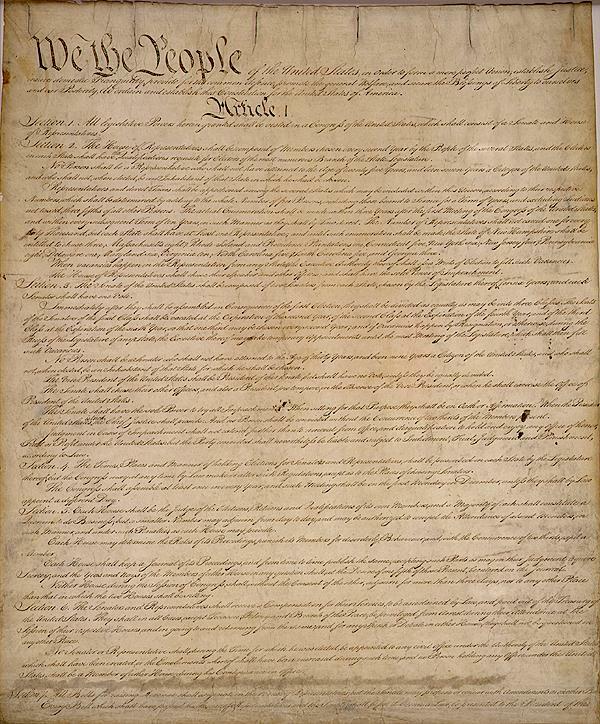 Yeah, funny thing about the Constitution, we can read it for ourselves. Because I don’t know how they manage to get their base to vote against their own best interests so consistently. I’m not being facetious, or snotty. I’m serious. Ok, so it’s really not that big a mystery. The Republican Party preys and capitalizes on all the worst parts of human nature. They wrap themselves in the Constitution while trying to destroy it. They appeal to patriotism, while defunding our vets and the families of our soldiers. And until recently, the Democratic party’s been too concerned with playing nice to call them on their bold face lies. I swear, I’m going to start carrying a copy of the Constitution around with me to bludgeon these lying and/or deluded fools with when they misquote or lie about it. This entry was posted on February 21, 2011 by geekgirlsrule in Featured Articles, Politics.